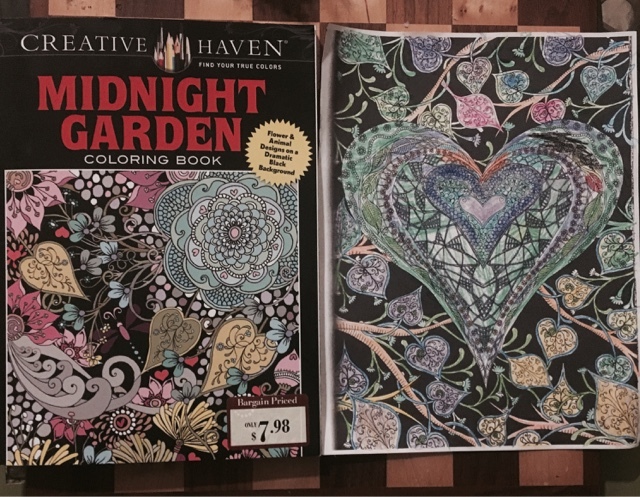 Fancy coloring books are all the rage right now and I am totally on this bandwagon. When I went to Barnes & Noble this weekend there were four different sections and an entire middle display table devoted to these beauties! I was the kid in a candy store. The Harry Potter Coloring Book is tough to beat but the bottom row choices by Johana Basford are nearly perfect. 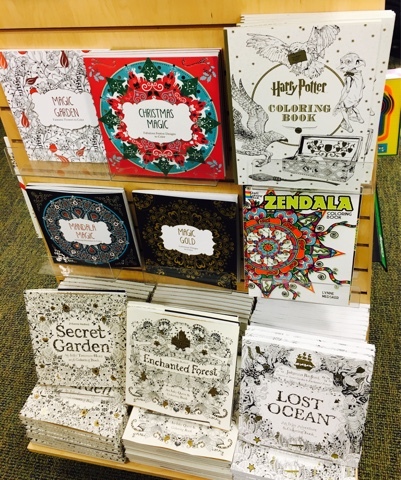 These stunning coloring books are a wonderful way to clear your mind of any lingering thoughts. I quickly become preoccupied with color choice, strokes and patterns whenever I color. It has the added bonus of feeling rather productive. If you take care to color nicely these could easily become wall art worthy. I colored this one tonight with my middle son. Listening to him choose his favorite colors was so adorable. At first I was hesitant to share a page with him and I thought about giving him his own page because the perfectionist in me was creeping up lol. It ended up working out well because we were able to fill the whole sheet in less than 30 minutes. Omg! Fancy rats, octopuses, yellow submarines, enchanted forests, and cities! You know how to tempt a girl! Thanks for the nice blog. It was very useful for me gifts to Pakistan . Amazing blog thanks for sharing Send gift to Pakistan .